The usual issue regarding blood pressure and corsets, is high blood pressure sometimes suffered by those a bit overweight. But some of us suffer low blood pressure — and corsets can help. High blood pressure does not always mean that you can’t waist train or wear corsets — but not without a physicians release and carefully checking daily of the pressure at home and at work, several times. “My blood pressure drops 40 points when rising from sitting to standing. My paternal grandmother also had this issue and had low blood pressure her whole life. She also had varicose veins in her legs from a young age. I was told to consume lots of salt when I was about 12 to counteract it. My grandmother was put on pills to raise her blood pressure, which the doctor failed to monitor. She wound up with high blood pressure for the rest of her life from those pills. “My mother started me wearing Legg’s active support control top stockings as a teen and through my young adult life. I didn’t develop varicose veins, but have one bad valve in my lower leg now. Also I rarely had issues with fainting or blood pressure when wearing support hosiery. When I started wearing corsets for historical re-enactments, I found that my back stopped hurting and my blood pressure normalized, just like wearing compression stockings. I researched on your site and on Lucy Corsetry about proper corsets, and finally got a few OTR and one custom corset to wear to work and started my waist training journey. “My blood pressure is now finally normal when sitting or standing, unless I am not wearing a corset. My bad leg valve has not gotten worse even though I sit at a desk job now, because I wear my compression socks and my corset almost 8 hours a day. So the corset is acting just like another compression garment and my blood pressure returns to low (my normal pressure is 64/35, with my corset on I stay around 110/60, if I consume salt it helps keep it in the normal range when I remove my corset. My back physician said my corsets are built exactly like the medical corsets for use after surgery and has encouraged my continued wear of these to postpone or possibly prevent surgery on my own back, which is also damaged from several car accidents in addition to the scoliosis. We know that one of our great custom corsets will be just the right addition to our client’s wardrobe when she is ready! 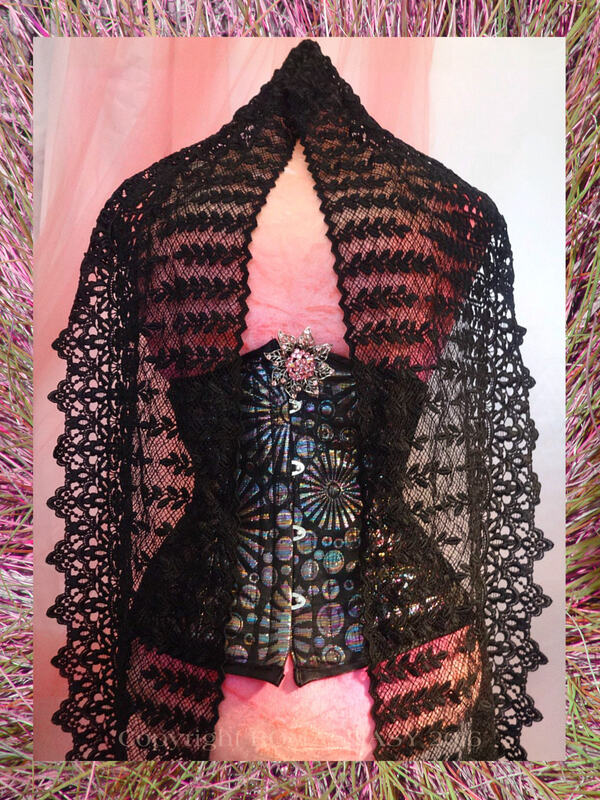 Here’s our latest lovely, sedate and elegant underbust Victorian by Sheri for ROMANTASY. WHAT IF I CAN’T WEAR A CORSET TO WORK AND NEED TO WAIST TRAIN? If you can’t accommodate your work responsibilities or office furniture to the limitations of being corseted, you’ll need to find time to wear the corset during leisure hours or while you sleep (after about 20 initial wearings with you upright, so that you don’t permanently torque or twist the boning). My former waist-training student, Bret, advises that if you have weekends off, try sleeping in a corset first on a Friday or Saturday night so that if you lose sleep, you have another day or two to recover. When I started corseting, I couldn’t sleep an entire night, even when moderately laced. I’d wake up at about four in the morning with back discomfort, and have to take the corset off. Since I readily returned to sleep, the interruption didn’t bother me. Even if you find it a nuisance, after four or five attempts to sleep thru the night while wearing your corset, you’ll likely rest comfortably. You need just a little practice and patience to learn how, and at bedtime you might start by lacing more loosely than normal. Have you tried it? Let us know if you have an tips to start the process or make it easier. How to get rid of cravings that derail waist-training: eat none of what you crave! Eating well and healthier are two requirements of comfort in waist training, especially when you are squeezing your midriff with a corset. You need to reduce the fat and sugar content in your stomach and make it easy for food to progress thru your digestive track. What we crave tends to defeat that goal. Dr. Mercola just posted a great summary blog of what I learned in Mark Schatzker’s book, The Dorito Effect, that Big Food and Gig Flavor are “out to get us”, that is, tempt us to indulge in our cravings, and hook us on manufactured flavors added back into food that has been stripped of flavor. The new flavors are addicting and designed to be that way, which accounts for the addition of sugar of many kinds of almost every kind of processed foods that we crave. Sadly, as Dr. Mercola says, “First of all, as with any other addiction program, the less of it you eat, the less you’ll crave it as your body gets “weaned” from all these addictive hooks. So to beat food cravings you need to, ironically, eat less of the offending foods. I’m not convinced however, that fasting, even intermittent fasting that Dr. Mercola recommends, works. If he means what I did to get over my addiction to sugar last summer–well and good. I just quit refined added sugar “cold turkey” on June 15 and struggled for three weeks, but held on for the full four weeks that Barry Friedman recommends in I Love Me More Than Sugar. And I got over the craving for sugar, primarily in that way. I do agree that we should “eat real foods.” Dr. Mercola means eat clean, natural, non processed foods, and cook them without a lot of additional fat, sugar or salt. There are too many good flavorings out there, including many flavors of Mrs. Dash, my personal “go to” flavoring when cooking, if not my parsley and sometimes thyme or rosemary garden herb plot outside my kitchen door. A waist-training student who taught me a lot was Lee, a lady of 5’2″ in height. 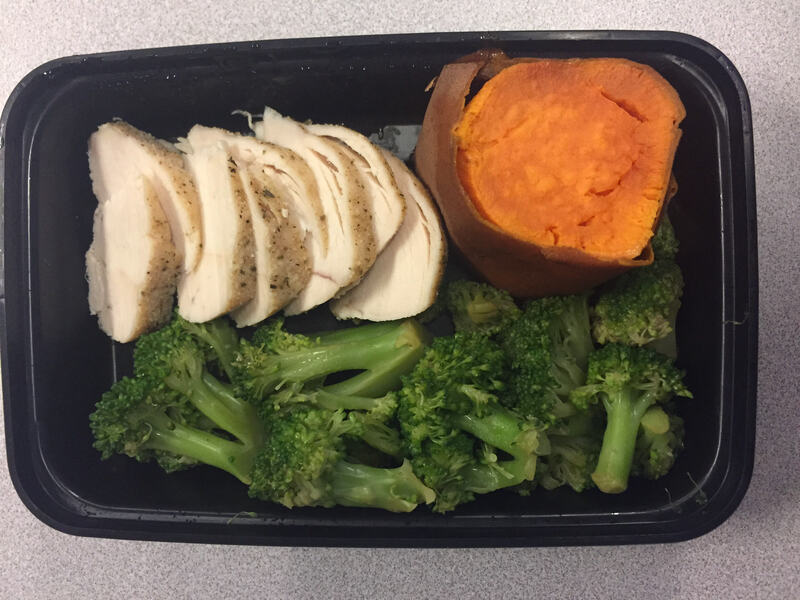 Pictured are some of her “clean” meals and this is all she ate every day to lose from 157 to 120, enter our training program and drop down to 112 when she got consumed with her legal work and we lost touch. Still she had great habits in place, dropped over an inch in her waist in 2 months and was well on her way to her “fighting” weight where she felt best: 110. Now I see pictures of food such as the ones in this blog, and I get hungry for just that food! you can tempt yourself to eat the right things in some of the same ways. It takes a little self-discipline but not all that much time, just like figure-trimming can be accomplished in a few weeks or a few months. One of my favorite authors is Barry Friedman, a man, as I am learning, of many talents (including juggling!) Barry is the inspirational author of a book about loving yourself — and doing away with added refined sugar: I Love Me More Than Sugar. Barry’s approach and his book, changed my life for the better when I desperately needed to get back into my corsets and reduce my expanding waistline, and find my lost energy– but at a time I wasn’t inclined to formally corset waist train because nothing seemed to fit! I came upon the book shortly after I had added a two-day-per-week aerobics routine to my life, a routine worked out by a kinesiologist, concentrating on exercise to avoid falling. An email note today from Barry pointed out what is critical to do each day to keep well and fit, focusing on the word “discernment”. We make 35,000 decisions a day, but what should we include most every day? What will we discern as of maximum importance to our health? Exercise Every Single Day – When the voice in you says, “I’m too tired to exercise,” prove it wrong. Do something to actually exhaust your body and reap the benefits. Physical activity promotes weight loss, increases HDL ‘good’ cholesterol, improves mood, confidence, and self-esteem, reduces constipation, and yields deeper sleep. Seeking strategies to avoid food: chewing gum vs. food, a query? 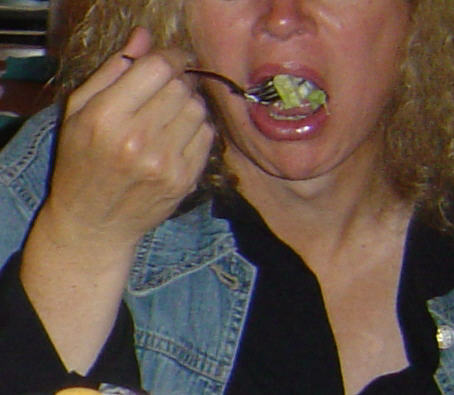 To be of help to my waist-training coaching program students, I’m alert to any novel ideas that might keep them away from food (as well as from taking smaller bites unlike this lady, which is another topic for another day!). That’s sometimes advisable if and when they need to reduce a few calories as part of their figure-shaping goals. Of course, waist training is not a diet–and requires a multifaceted approach that focuses first on health, not inches or pounds. In any initial attempt at waist training, even when you are wearing a corset, you have to give yourself a sufficient time-out from cravings and hunger pangs so that they diminish or disappear. This benefit of waist training has happened to all of my coaching program students, it’s great news, and it’s one of the key reasons that waist training works! I’ll address the underlying factors about how that works in another blog. Some of the ways to distract yourself from cravings, involves keeping your mouth occupied with something other than food—and I don’t mean smoking! You can chew gum like a 2012 student, Heather, does, or talk on the phone when you get hungry. A University of Rhode Island study found that people who chewed sugar-free gum in the morning ate 68 fewer calories for lunch than those who did not. And they didn’t make up for it later in the day. (“Health News,” Ladies Home Journal, March 10, ca 2005, p. 128). One possible reason is that the nerves in the jaw feed into the hypothalamus region of the brain that controls satiety, so the act of chewing makes you full. My question today is: why that doesn’t work just from chewing a reasonable portion of food that we adore? If you have an answer, please let me know. We’d also love your additional suggestions about how you distract yourself from overeating? That likely starts with a journal identifying when you do that, and under what circumstances. Then you can deal with the source of the impetus to overeat, while you distract yourself from the temptation. In the meantime, don’t walk into a restaurant, shop for food, cook, or eat unless you are wearing your corset snugly laced! this lovely corset is by Sheri Jurnecka for ROMANTASY, in pink dot German coutil bound with pink Petersham, a super and pretty corset for waist training! More on “I don’t want to hear it” — About hope in changing multiple habits and well-being! –We don’t have to take a hugely long time to change in many ways at once and for the better! (1) corset wearing, (2) corset-friendly nutrition practices, and (3) waist-targeted exercises. You can even exercise in a corset if you want to as Heidi is doing here, in the “Kewl Korset” by Jill Hoverman for Romantasy. It’s a flexible lycra-with-satin-and corsetmesh single-boned corset, cooler on the body than most and non-restrictive. It provides just enough back support to correct the leaning posture inherent in riding a bike, protect you from aggravation on the golf course, and more. To achieve success in waist reduction, it’s my experience that you must do several things all together, not just one. You can enhance your chances of reaching reasonable goals by adding a few sub-elements of waist training such as visualization, finding and implementing a Training Buddy or other support system, carefully recording statistics as well as physical and emotional reactions, and other. You can read detailed information in our “how to” Corset Magic book and order it online. Waist training is not a “one-item-diet” like the grapefruit cleanse. It’s not a one-step journey. (“Out with the old” by Gretchen Reynolds, NYT , May 15, 2016). Admittedly the research involved a very small group of 31 students, half divided into a group that completed 3.5 hrs/ of exercise every day (in two sessions including trainer-led walks, meditation, stretching, resistance training and balance exercises), twice a week interval- style endurance workouts on their own, attended lectures about nutrition and sleep, and kept daily logs detailing their exercise, diets, sleep patterns, and moods. 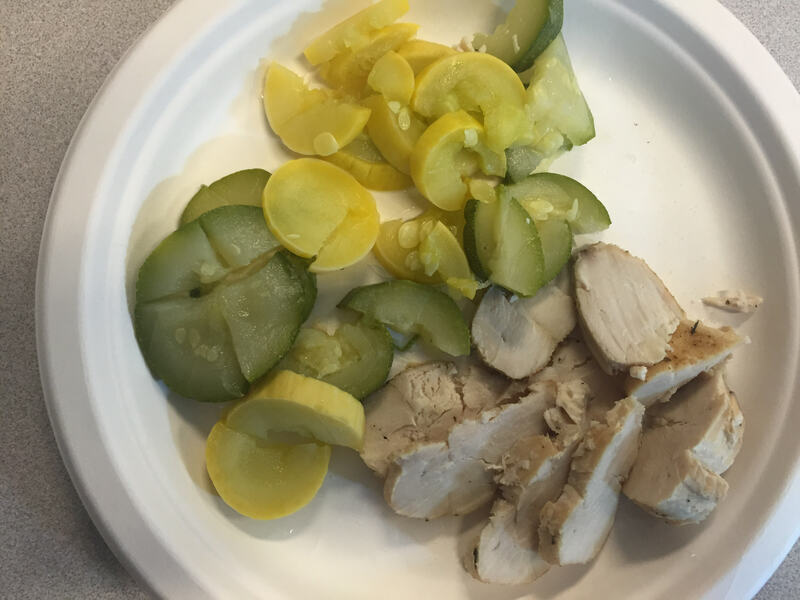 There was no information about whether or not nutrition changes were also implemented, but that could have only benefited the students more, not less. Students ended up stronger, fitter and more flexible, plus performed better on test of thinking, focus and working memory, and reported feeling happier and calmer, with a higher self esteem. I like to say that corset waist training works—if you work it. This small study, limited in time, is some support for my advice: enter into a three-month period that focuses your priority on figure shaping and achieving better heath and sense of well-being, do multiple things to reach your goal, and you will likely succeed in getting rid of a number of bad habits and replaced them with new, and feeling better in the process! Corset waist training changes more than just the waistline! Then you must attend to the riches of your new figure over time because you want more than just six weeks of after-burn, right? Let’s move together forward to a lifetime of benefits and support each other as we succeed!